The Crooked Path begins in 1938. This historical fiction novel tells the story of Lettie, who grows up in South Africa. As a young woman she feels insecure about her looks and spends her time and energy pursuing a medical degree. Marco grows up a world away in Italy. As World War II threatens his village, he goes to live in a mountain cave with the young Jewish girl he loves and her family. After the tragic events of the war, he ends up moving to South Africa for his health and to be near his brother. Lettie and Marco's paths cross and their story begins. This is such a beautifully told story, a saga of friends and love and family that spans decades, from the 1930's onward. 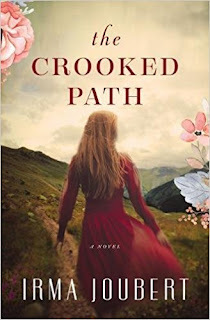 I sometimes find that dual storyline novels have a slower pace and momentum, but that was not the case in The Crooked Path. I could not put this book down and read eagerly to see what would happen with these characters. And the characters! They are beautifully told. I especially liked Lettie, who was so strong and brave. I really wanted her to find and keep happiness. "Years ago my mom told me life sometimes leads you along a strange crooked path, but in the end it will always take you where you're supposed to be" (p. 224). "Even a crooked path has a starting point" (p. 290). This novel was published by Thomas Nelson, a Christian publisher. I like the way faith was handled subtly, as part of Lettie and Marco's daily life and strength. I believe this is the first novel I have ever read set in South Africa, and I found it utterly fascinating. I loved the details of life and times gone by presented in this book. I highly recommend The Crooked Path for anyone who enjoys historical fiction. 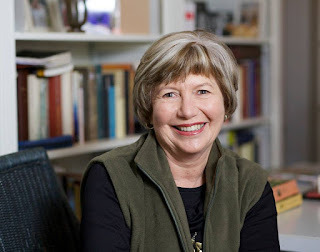 It is a beautifully told and richly rewarding book.